← 1417 – Athos 100 years ago in Dutch newspapers: 24 July 1913, riots on Athos! 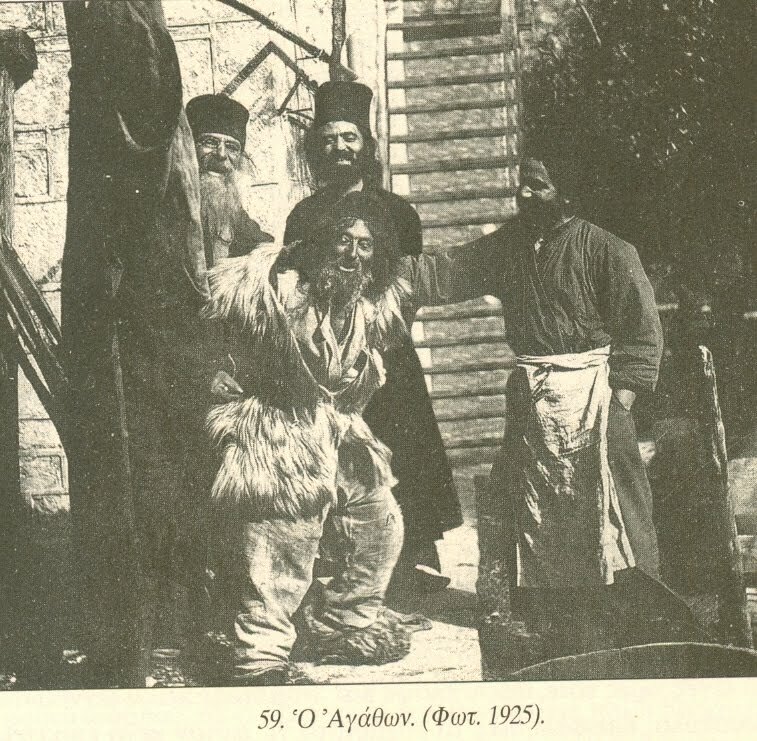 In Kafsokalivia of Mount Athos there lived a simple layman who was a fool for Christ by the name of Agathon during the decades of the 1920’s and 1930’s. He likely lived in abandoned monastic cells, but no one was ever able to visit him nor to know his method of prayer or his struggles. No one knew what he ate either, since the only time he ate cooked food was when it was offered to him by his fellow ascetics. In the summer he had only one garment and was hatless and shoeless. In the winter he wore a thick and heavy winter outfit and a monastic skoufi on his head, making him look more like an Eskimo than Elijah the Tishbite. This entry was posted in history, Kavsokalivia, people and tagged fool. Bookmark the permalink.